Ramen was one of those things Sonoma didn't know it was missing until it showed up. 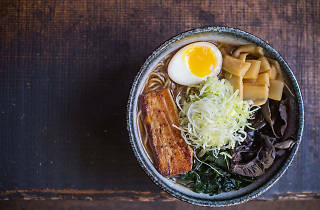 Ramen Gaijin, tucked into an unassuming shopping center, boasts tall ceilings, exposed brick and some seriously delicious soup. Get yours regular or spicy, topped with a 6-minute egg and a number of other treats, like wood ear mushrooms, ground pork, bitter greens or toasted black sesame seeds. 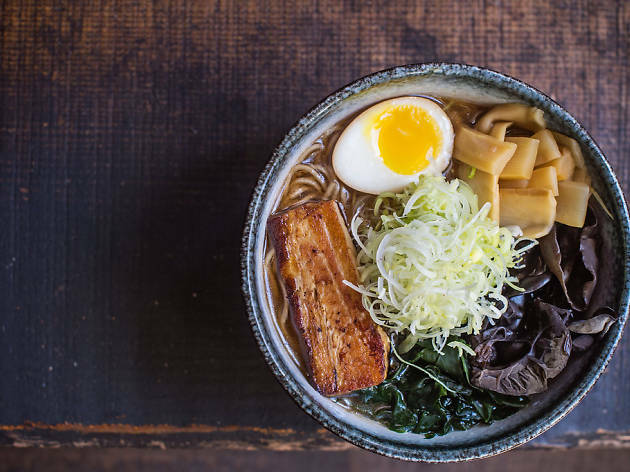 Not in the mood for ramen? Try a perfectly-sized order of chicken katsu or a donburi rice bowl. There are yummy vegan and gluten free options here as well, like a plain but well-executed little gem salad. One downside? We've heard more than one rumor of rude service. You've been warned.